If you have a log fire or wood burning stove and need a regular and reliable source of top quality logs, then James Grove Ltd can deliver throughout the Worcestershire area (minimum order of 1 load=1.4 square metres). We stock a wide range of hardwood logs including Ash, Beech, Oak and assorted fruit woods that have been kiln dried and barn stored under ideal conditions in our barn at Claines, Worcester. We also stock smokeless coal for your multi fuel burner, kindling and fire lighters. What kind of logs can we supply? As well as well-seasoned hardwood that’s renowned for its superior energy output, we can supply kiln dried logs and barn stored logs with an extremely low moisture content that are ideal for burning now. All our logs can be supplied cut to your required length. If you prefer to chop, split and season your logs yourself, we can also supply unseasoned or green logs which will be ready for burning in a minimum of 1 year when the moisture content has dropped to 20%. We can also supply Swedish Candles, otherwise known as the Swedish log stove. Portable and incredibly efficient, this single piece of log will burn for hours and is ideal for camping or festivals. Whether you use yours to cook supper, light up the campsite or as a way to keep warm, you’ll be amazed at just how effective the Swedish Candle is! Burning firewood for your heating is the greenest and most economical way of keeping warm. As a renewable resource, you can meet your energy needs and reduce your carbon footprint when you buy your wood locally from us. Survive any storm or power cut by investing in kiln dried and barn stored wood that provides clean, cost effective and comfortable warmth. At James Grove Ltd we can set up a repeat order of logs so you need never run out of fuel. Why not include smokeless coal, kindling and fire lighters with your order. Whatever works for you, you’ll find our friendly and helpful staff ready to take your order and discuss delivery dates. Why buy your logs from James Grove Ltd? Whether you want seasoned hardwood or green logs, coal or kindling we can supply all your heating needs through the winter months and beyond. Our kiln dried and barn stored logs are equally ideal for fire pits and chimineas through the summer months. If you prefer the flexibility of a multifuel burner then we also supply 20 kg bags of house coal and smokeless fuel. We offer exceptional customer service and will endeavour to provide the right product in the right quantity at the right price. Whether you opt for friendly fast delivery or free collection, either call or email us today for a free quote and let James Grove Ltd heat your home. 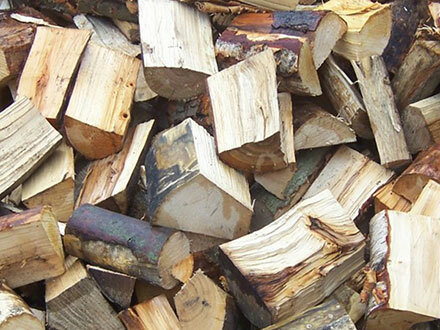 For the best quality firewood in the Worcester area, Give us a call on 01905 754 296 / 07768 034 323 today. Or, email info@james-grove.co.uk for a free, no-obligation quote.